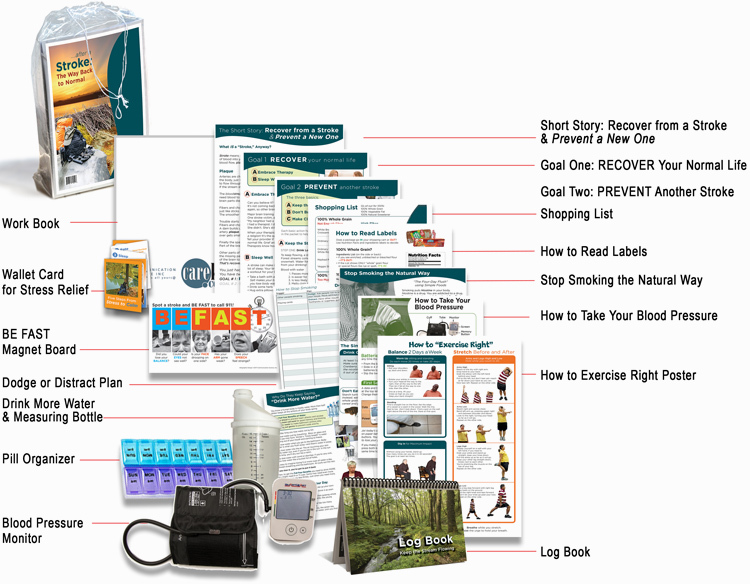 This Kit has everything patients need to help get “back to normal” after a stroke and prevent another. Two goals make self-care tasks straightforward. Recognizing warning signs is easy using the included BEFAST Magnet Board. A Shopping List and “Three Kinds of Exercise” Poster make meal planning and exercise clear and simple. The included Digital Blood Pressure Monitor and Log Book make is easy to see warning signs and share information with your doctor. CARE KITS work for me!